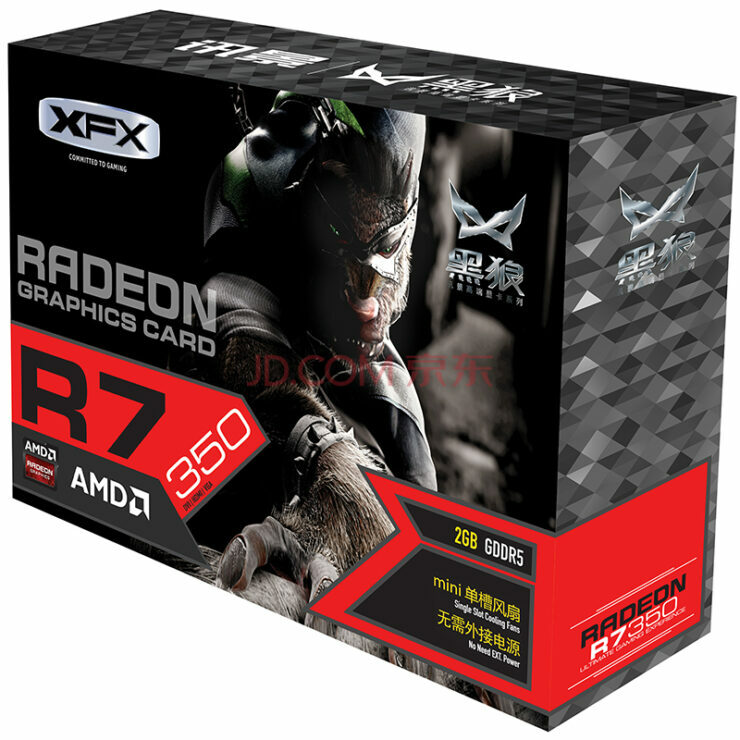 AMD has silently introduced their latest Radeon R7 350 graphics card in the Asian Pacific market. 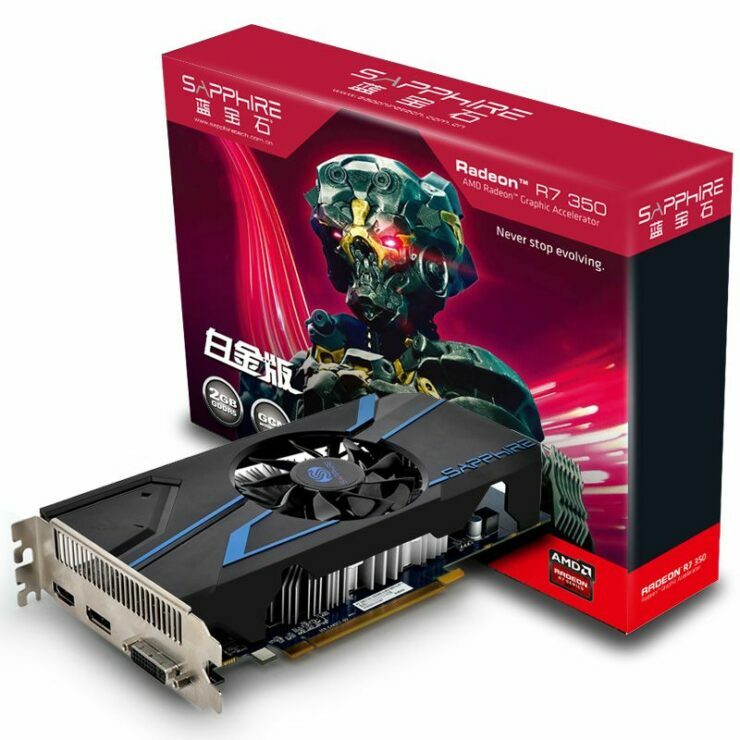 The Radeon R7 350 further expands the Radeon 300 series lineup which consists of GCN based graphics cards. The Radeon R7 350 aims the sub-$100 US market and is aimed at low-end systems whose main aim is to utilize the graphics power for several MOBA titles that are a hit in the Chinese region. 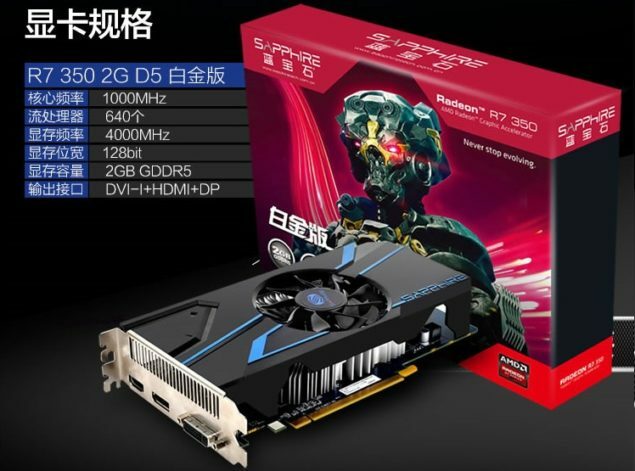 The AMD Radeon R7 350 is a card specifically designed for the APAC markets where we have also seen 4 GB variants of the Radeon R9 390 graphics card, the Radeon R7 370X graphics card and now we get to see a new entrant for the region. 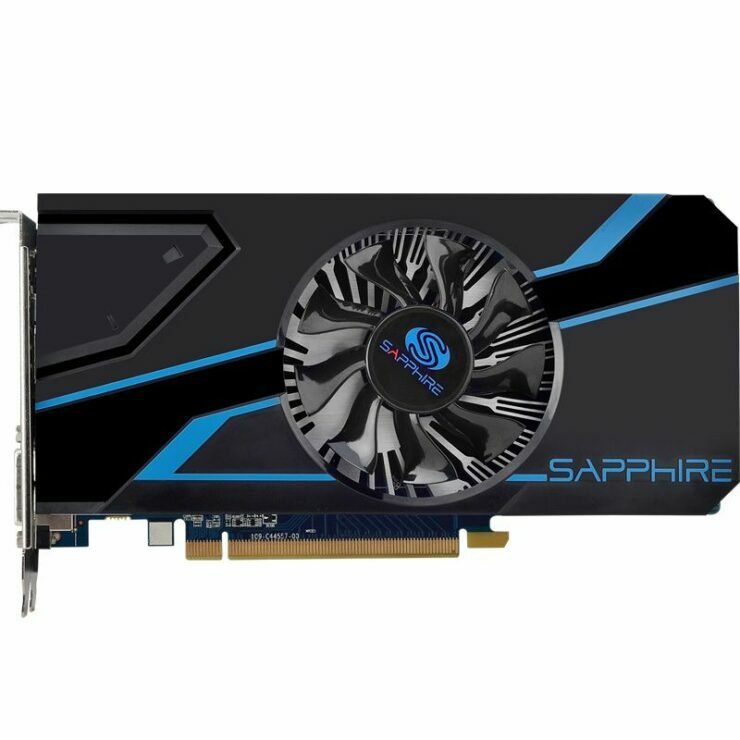 The AMD Radeon R7 350 is a $89.99 US graphics card which is being sold by Sapphire, XFX, ColorFire, PowerColor and a few other AIBs. 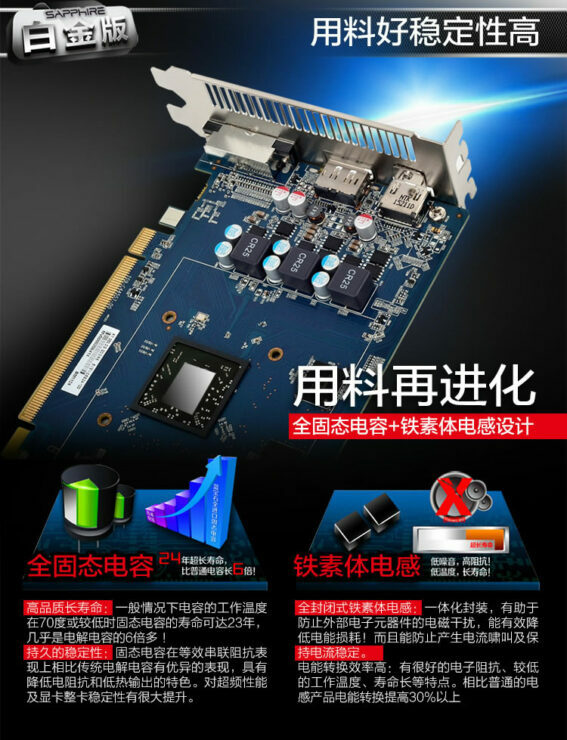 The most surprising thing about this card is that while most models are based on the Cape Verde XTL graphics core, a few models are actually based on the cut-down Pro core which was found on the Radeon HD 7750 card. 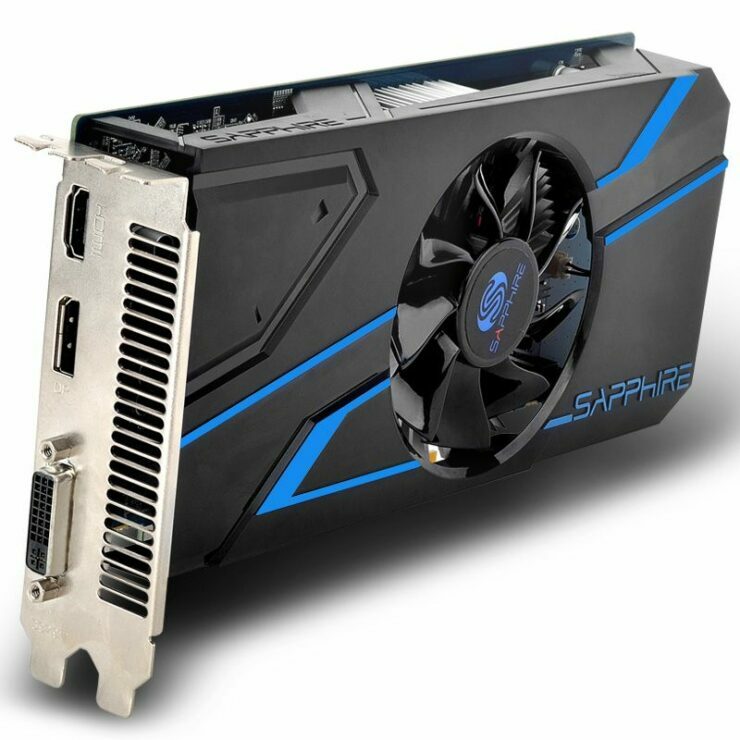 So specifically, we are looking at a few models retaining the specifications of the Radeon HD 7750 while the rest are full HD 7770 variants with better optimizations to the core. 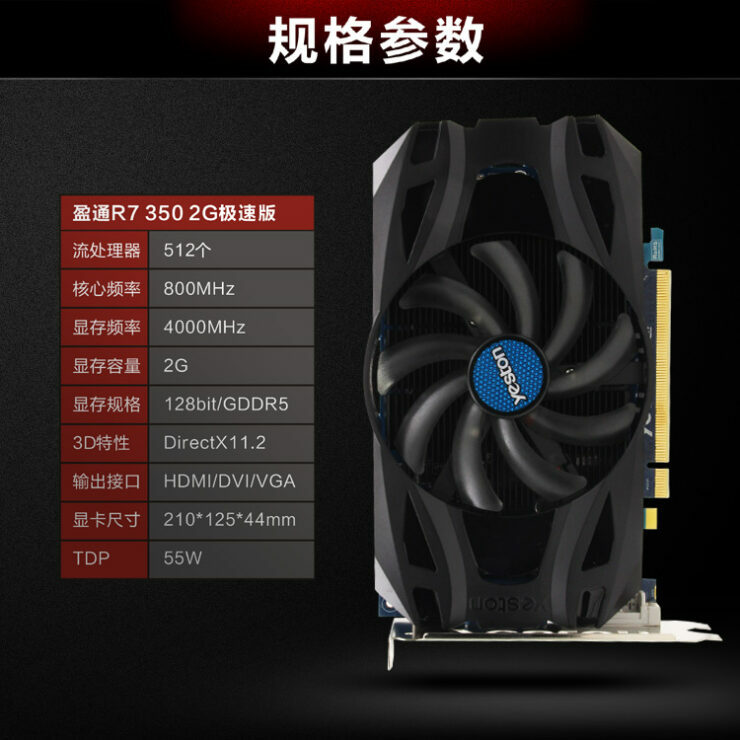 Starting off with the specifications, the Radeon R7 350 has the Cape Verde XTL core which is based on a 28nm process. 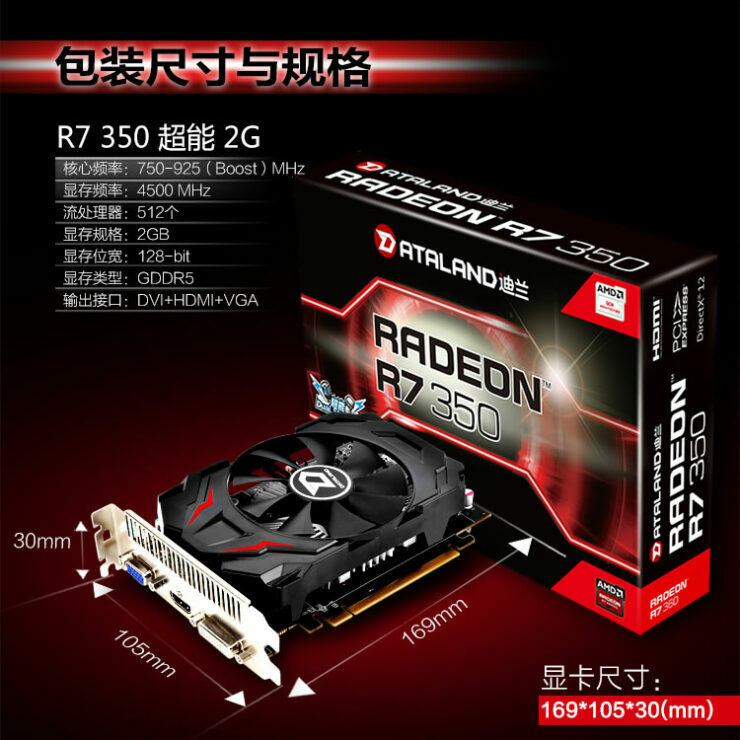 The GPU has existed in the Radeon lineup since 2012 and features a 123mm2 die that consists of 1.5 Billion transistors. 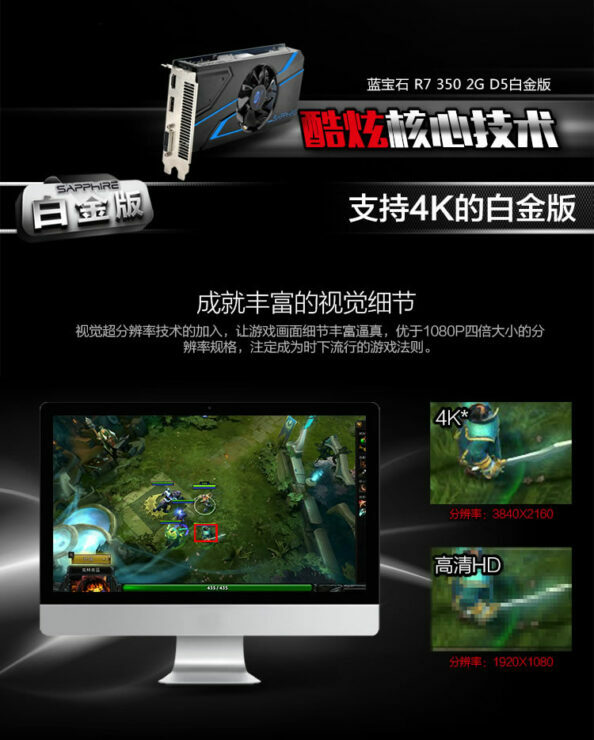 The graphics core features 640 stream processors, 40 texture mapping units and 16 raster operation units. The other configuration which will be least found consists of 512 stream processors, 32 TMUs and 16 ROPs. 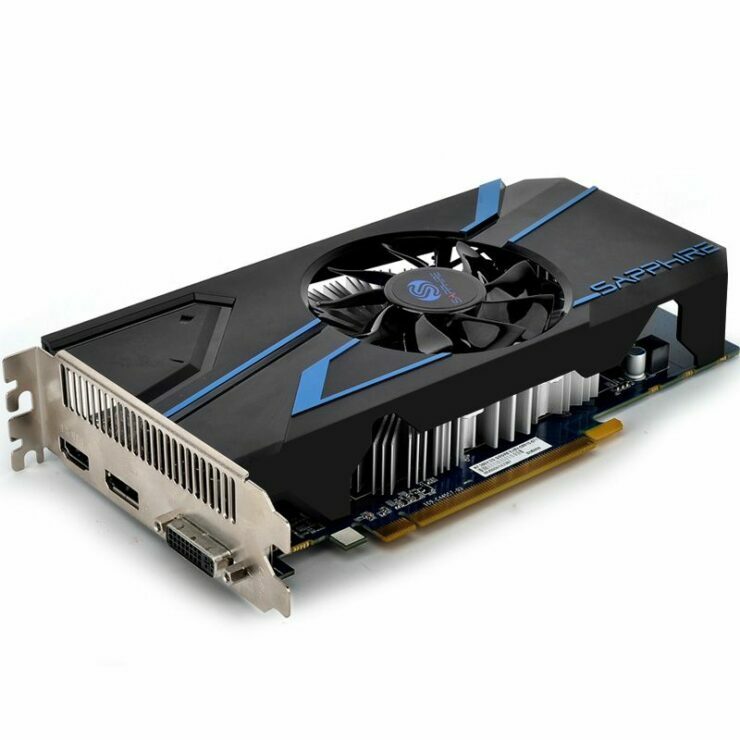 Both cards feature up to 2 GB of GDDR5 VRAM that operates along a 128-bit bus interface. One thing that’s noticeable is that the Cape Verde XTL models feature lower memory clocks of 4000 MHz when compared to the Cape Verde Pro variants that have memory clocked at 4500 MHz. 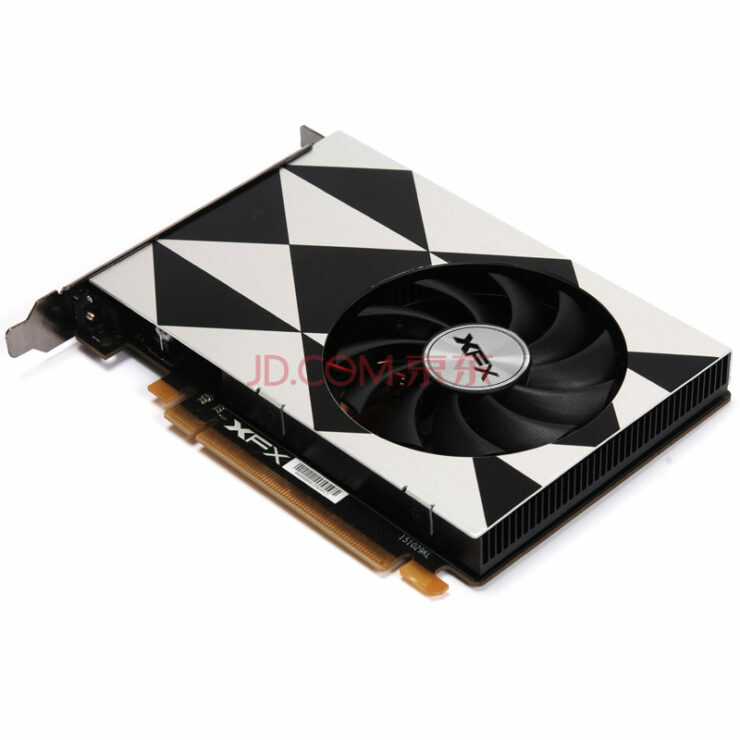 The graphics core clocks are maintained as high as 1000 MHz and as low as 750 MHz (950 MHz boost clocks). 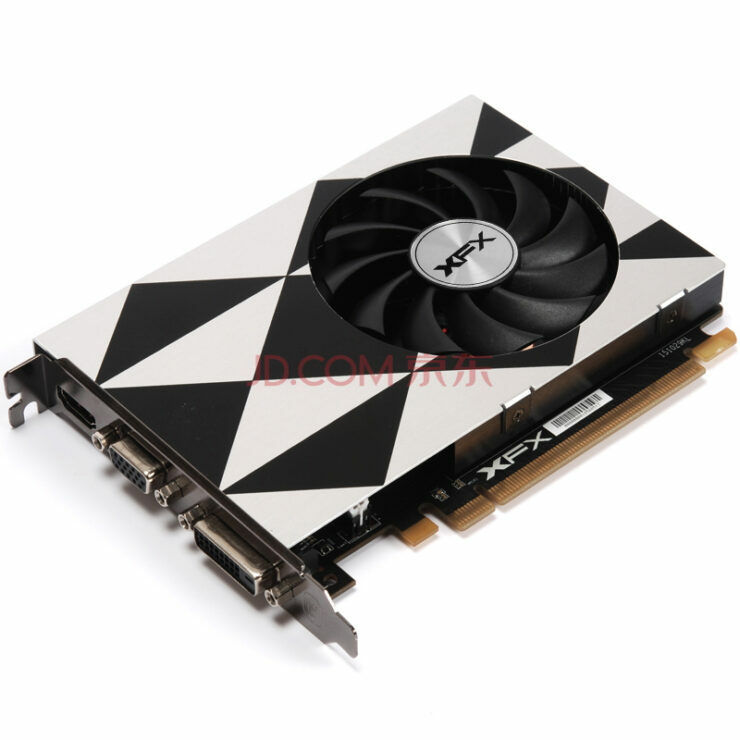 Almost all vendors have cards without power connectors but the one model that really stands out from the rest is the XFX Radeon R7 350 (P) which comes with the Verde XTL core and 2 GB GDDR5 VRAM on a single slot. 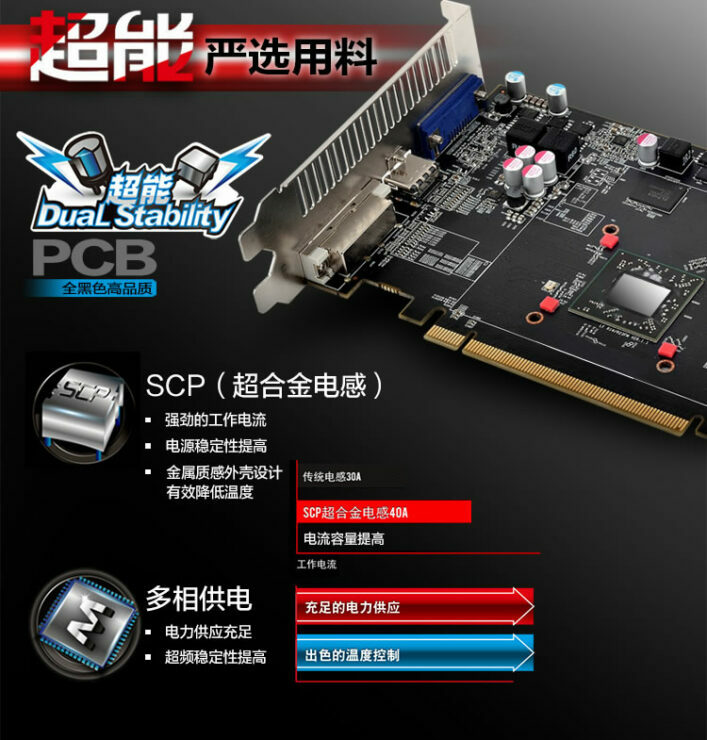 The card requires no additional power connector and has clock speeds set at 925 MHz for the core and 4500 MHz for the memory. You should probably not expect these cards to hit your local markets since they are designed for a the APAC region. 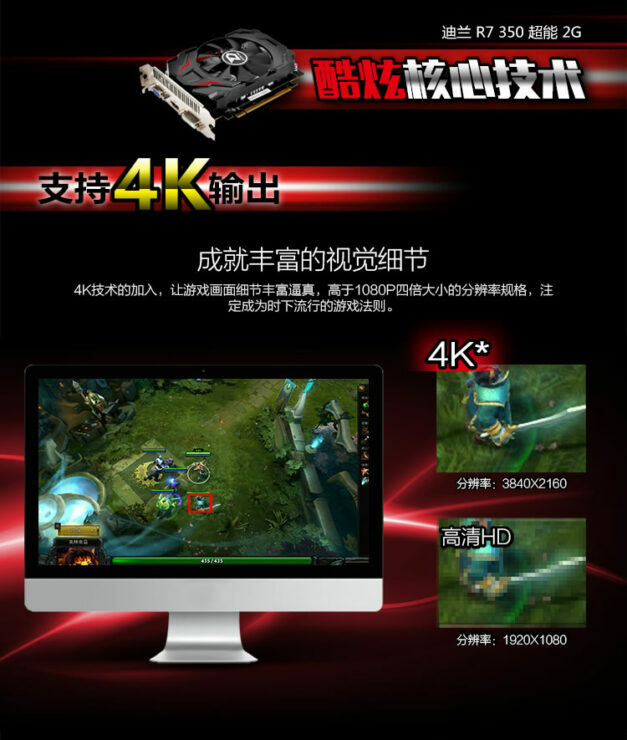 The performance of these cards is good for MOBA titles and some last generation games such as the Tomb Raider (2013) and Call of Duty with decent quality settings. 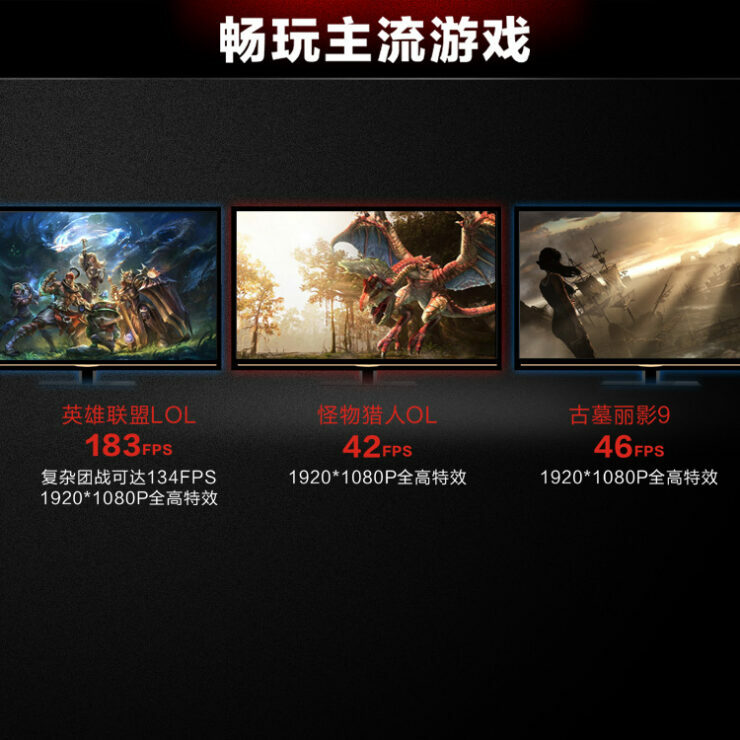 The AIBs have posted their own performance benchmarks which show the card performing decent enough in these title on 1080P resolution. While the R7 350 seems to be a decent option in this price range, it should also be noted that AMD already showcased and demonstrated their upcoming Polaris graphics core which will be hitting the low-end market with higher FPS per watt compared to current 28nm offerings. 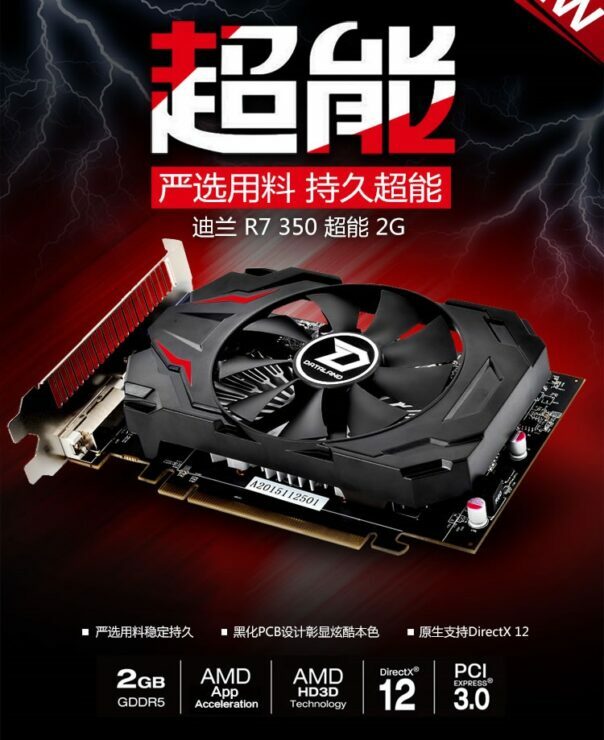 AMD want’s to bring back competitive performance and prices back in this price range with Polaris so that should certainly be of more interest to Radeon buyers than the existing 28nm products.